Sig Sauer looks to offer SBR shooters more ammo options with a new 300 Blackout load designed specifically for short-barreled rifles. The 120-grain supersonic 300BLK SBR Elite Copper Duty load features an all-copper bullet with black oxide shell case. Boasting a velocity of 1,897 feet-per-second muzzle energy, the load is equipped with flash-reduced propellant to reduce visible signature. The 300 BLK SBR Elite Copper Duty load enters the consumer market for the first time, though Sig’s other 300 BLK offerings have seen action with law enforcement and competition shooters — all to positive reviews, according to Sig. 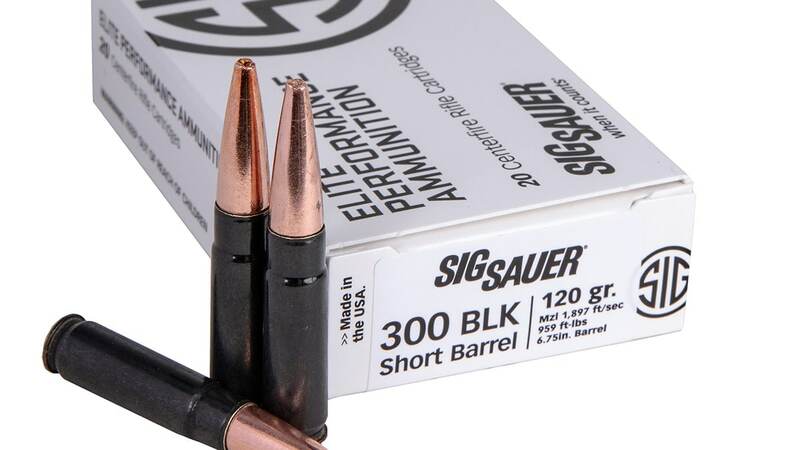 “Our various SIG Elite 300BLK ammunition loadings have been well received by match shooters, hunters, and law enforcement and government agencies, and there will be more exciting 300BLK offerings from SIG in the weeks to come, Brad Criner, senior director of brand management and business development for Sig Sauer Ammunition, said in a news release. “The new 120- grain supersonic SBR Elite Copper Duty ammunition delivers the highest terminal performance possible in short barrel AR-style rifles, something the professional community has been asking us to provide,” Criner continued. The 300 BLK SBR Elite Copper Duty works best with barrels falling in the sub-9 inch range. 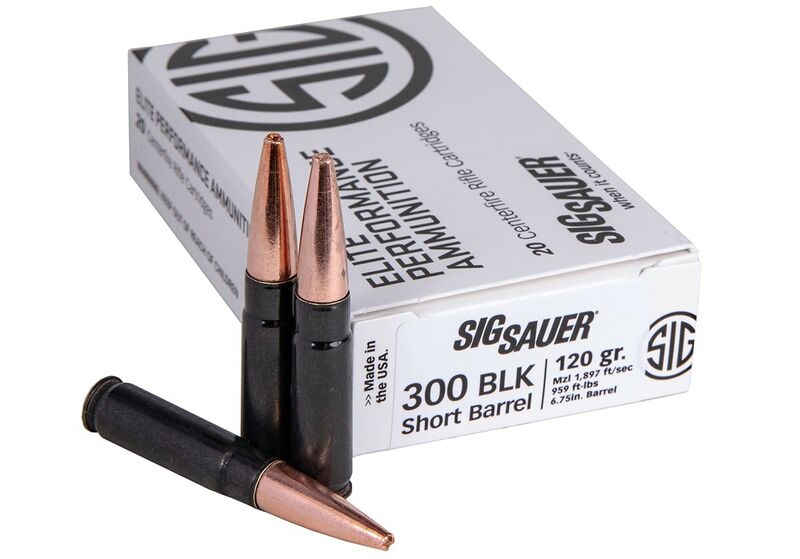 The ammo is available for purchase through Sig with an MSRP of $30.95.